The project is managed by a simple management structure composed of the Project Coordinator, the Project Manager, Work Package Leaders, Task Leaders, Steering Committee and the Advisory Board. contribute towards the dissemination by serving as contact to wider networks. Martina Fischer is the deputy director of Conflict Research and a co-editor of the Berghof Handbook for Conflict Transformation. She has worked as a senior researcher, as deputy and acting director of the Berghof Research Center for Constructive Conflict Management since 1998. She has published on peacebuilding in post-war societies and conducted practice oriented research on the role of civil society in conflict transformation. Her current focus is on processes of dealing with the past in post-war recovery. Martina is a member of the board of the German Protestant Kirchentag, of the advisory council for the Centre for International Peace Operations (ZIF), the scientific council for the German Foundation for Peace Research (DSF), and the Working Group for Peace and Conflict Research at the German Federal Foreign Office. 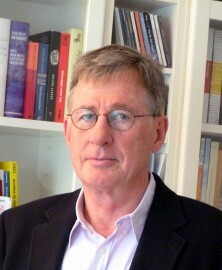 Dr Fischer has published, edited and co-edited more than 10 books and more than 200 articles. She holds a PhD from the Free University in Berlin. Joachim Kersten is Professor and Head of the Department of Police Science at German Police University in Münster. He is the Coordinator of COREPOL, an EU FP7 project which investigates Restorative Justice approaches in the area of minority-police conflict. He has held teaching positions at universities in the USA, Japan, and Australia. Ms Ilina TANEVA is Deputy Head of the Criminal Law Division, Directorate General of Human Rights and Legal Affairs, Council of Europe. She has been working for the Council of Europe since 1997 and has been ever since dealing with penal law, prisons, probation and aftercare, crime prevention and juvenile justice. She is Scretary to the Council for Penological Cooperation (PC-CP) which has drafted the European Prison Rules; the European Rules for juvenile offenders and the Council of Europe Probation Rules. She has MA in history, post-graduate thesis on theory and histrory of art and culture and LLM with a post-graduate thesis on international law, Sofia University, Bulgaria. Before joining the Council of Europe Ilina Taneva has worked first as a trainee judge at the Sofia City Court (1988-1989), then at the Bulgarian National Commission for UNESCO (1989 -1992) and at the Bulgarian Ministry of Foreign Affairs (1992- 1997). Marieke Arnou is officer at the Training Department of the Belgian Centre for Equal Opportunities and Opposition to Racism (CEOOR). This National Equality Body has the legal mandate to promote equal opportunities and to fight discrimination and racism. The CEOOR also has the mission to monitor the respect of the fundamental rights of foreign nationals in Belgium and to observe the nature and scope of migratory flows. Furthermore the Centre stimulates the fight against human trafficking. Finally, the CEOOR acts as the independent monitoring body of the implementation of the UN Treaty on the rights of persons with disabilities. Ms. Arnou has several years of experience in dealing with individual cases of discrimination. She is currently working as training officer, giving trainings on topics such as homophobia, the antidiscrimination legislation, intercultural communication, diversity policies and dealing with discrimination and racism. Dr. Malloy is a political theorist by background specialising in the political and legal aspects of national and ethnic minority rights in international law and international relations, especially in the European context. Her areas of expertise cover the major international organisations, the European Union as well as individual countries. In addition to being Director at ECMI, Dr. Malloy heads up ECMI’s research cluster Citizenship and Ethics. Her current research interests include minority citizenship, agonistic democracy, ethno-ecologism, minority indicators, and inter-sectional discrimination. Dr. Malloy has been called upon for expert advisory opinions by local and national governments, the Council of Europe, the OSCE and the European Commission. She is currently a member of the Advisory Committee on the European Framework Convention for the Protection of National Minorities elected by the Committee of Ministers in respect of Denmark. Her research has been funded by the European Commission, governments and private foundations. Dr. Malloy has taught at the EU’s Master Programme in Human Rights and Democratisation in Venice, Italy, the Master in European Integration and Regionalism in Bolzano and the University of Bologna’s European Master in Peace-making and Peace-building. She currently teaches political theory in the European Studies programme at the University of Southern Denmark. 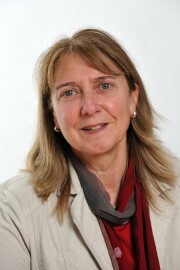 Before assuming her duties as Director of ECMI, Dr. Malloy was Senior Researcher and Consortium Director at the European Academy, Bolzano/Bozen, South Tyrol. 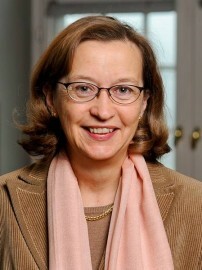 In addition to her academic career, Dr. Malloy has served in the Danish Foreign Service in numerous positions and represented the Danish Government in international fora on post-conflict resolution for Rwanda and Bosnia, transition and development for Albania as well as on indigenous affairs issues. Dr. Malloy holds a doctorate in Government from the University of Essex (UK) and an MA in Humanities and Social Sciences from the University of Southern Denmark. Sandra Gutiérrez is Senior Officer, Promotion of a Culture of Non Violence and Peace at the IFRC Principles and Values department. She holds a BA in political science and has also benefited from trainings, such as IFRC Logistic and Relief Emergency Response Units (ERU) and election observation and peace keeping trainings. In 2008-2010, Sandra was seconded as a staff on loan from the Spanish Red Cross to the IFRC Principles and Violence department where she coordinated the development of the IFRC global Strategy on Violence Prevention, Mitigation and Response. She joined the Spanish Red Cross in 2004 as a volunteer, before being employed as a Youth School Coordinator and Youth worker in charge of the design and coordination of projects promoting the participation of young volunteers in the institution and in society at national and international levels. Her work strongly focused on youth violence and the promotion of respect for diversity and social inclusion. Previously she was employed in the New Technologies sector in firms such as Ericsson and the Spanish entrepreneurial entity Red.es. The AB will meet in person four times (once a year) during the project. The first AB meeting took place on 4th October 2012 in Belfast.